Don't Waste Kiwi Tax Dollars on War Planes! The New Zealand government is poised to spend $2.3 billion to buy four Boeing P-8A Poseidon war planes. The P8 aircraft is designed for military operations, signaling a troubling shift in foreign policy. The planes, optimised for anti-submarine warfare, will be outfitted with surveillance systems, communications platforms, and weapons targeting, all geared to work in tandem with the American and Australian P-8s. The scheduled purchase of four planes signals an even closer military alignment with the United States, and reflects badly on New Zealand's non-aligned status. The $2.3 billion to be spent on the P-8s could be saved for much needed social spending, such as increasing wages for teachers and nurses, building houses, and fixing our healthcare system. Sign the petition to tell the House of Representatives to block the purchase of the P-8 war planes! 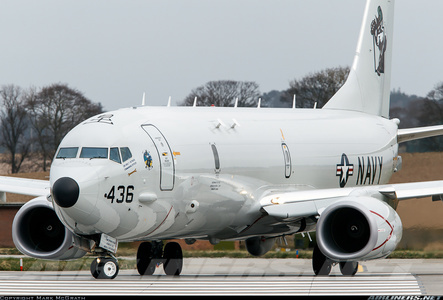 I urge you to oppose the $2.3 billion purchase of four P-8 Boeing Poseidon surveillance planes, which are designed for anti-submarine warfare. The scheduled purchase of these war planes signals a troubling shift in foreign policy, towards an increased military alignment with the United States, reflecting badly on New Zealand's non-aligned status. The $2.3 billion to be spent on the P-8 planes could be better spent on social needs, like fixing infrastructure, and improving healthcare. Let's make New Zealand a leader in championing peace and progressive policies. Don't waste our tax dollars on weapons of war!